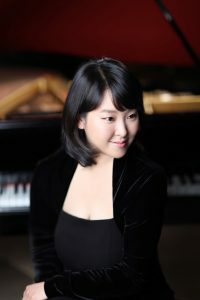 Im Rahmen der dreiteiligen Konzertreihe The Berlin Debuts spielt am kommenden Montag die koreanische Pianistin Sunhwa Park zum ersten Mal im Kammermusiksaal der Berliner Philharmonie. Sunhwa Park gewann unter anderem Preise der American Protégé International Competition of Romantic Music und der World Times Competition und trat auf den größten Bühnen weltweit auf, wie zum Beispiel der Carnegie Hall und Merkin Hall in New York, im Smetana-Saal in Prag und dem Seoul Arts Center. Gewinnen Sie 3×2 Tickets für das Konzert am Montag, dem 13. April 2015, in der Berliner Philharmonie!Sagen Sie uns über die Kommentarfunktion bis Samstag, 11. April, 16 Uhr, warum Sie gern beim Konzert dabei sein möchten. Es entscheidet das Los*. Feuilletonscout: You were born in Seoul, studied in New York and Texas, travelled the world and are currently back in Seoul. Does this multiculturalism influence your artistic expression in any way? Sunhwa Park: Traveling the world influences my musical expression very much. Each country has its own culture and different musical background, so studying and living in many countries had me experience various facades of life and music. Such new experiences in different places of the world motivate me when I search for the new ideas and inspiration in music. Feuilletonscout: What does the NYCA’s mission, which is to explore new avenues in music and to break away from obsolete structures, mean to you personally? Sunhwa Park: NYCA promotes young artists internationally and helps collaborations with other organizations. Benefiting from this mission, I also had a several precious performance opportunities through NYCA’s concert series. NYCA is a platform for developing my musical career and for getting to be acquainted with different audience as a performer. The opportunities to give recitals through NYCA’s concert series provide me a very special exposure. Feuilletonscout: On April 13 you are playing pieces of music by Mozart, Beethoven, Debussy and Chopin. What in particular do you appreciate most about these European composers? Sunhwa Park: These European composers are my favorite composers in my study years up until now, and I feel closer to each of them and like the demands of each of their musical structures and different ways of producing sounds. Feuilletonscout: This is your first time you are playing in the Berliner Philharmonie. What is your wish for this evening? Sunhwa Park: I am very happy to play in the Berliner Philharmonie and it is very special experience in my musical life. I wish that I can communicate musically with audiences and feel every note together while I perform. I hope that my performance gives them special messages and memorable moments. Mit „The Berlin Debuts“ in den Frühling! Tickets für das Klavierkonzert in der Berliner Philharmonie zu gewinnen! Ein Moment mit … Pianistin und Komponistin Marina Baranova. Gewinnen Sie Tickets für ihr Konzert in München! Oh, ich hab den Artikel zu spät gesehen. 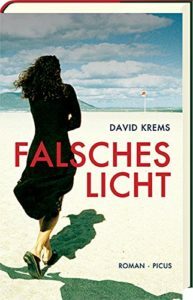 Gott sei dank muss ich nicht traurig sein, denn an diesem Tag wäre eine Reise nach Berlin nicht möglich gewesen. Ein Klavierabend wäre einfach ein toller Start in die Woche! Da würde ich gerne dabei sein. I like Chopin. Mich würde das Programm vor allem wegen dem Teil mit Stücken von Frédéric Chopin. Alle anderen sind natürlich interessant. Aber Frédéric Chopin höre ich immer die größten Unterschiede, wie der Pianist mit dem Meister umgeht.